Source: e-ARC provided in exchange for a fair and honest review. Kristen Ashley is one of my favorite authors. The romances she writes are phenomenal, and in general her books are just plain addictive. Her Fantasyland in particular has been awesome. The stories are vivid and well-written and full of love. This particular book, the last installment in the Fantasyland series, has been highly anticipated. Honestly, the moment this book landed on my Kindle to review, I dove right in--and what I got in return was a very enjoyable reading experience, just like I can always expect from a KA book. After gaining a soft spot for Noc that only grew when he showed back up in Broken Dove, I was so excited when I heard there was going to be a book for Noc. He's a straight-up GOOD guy, and he definitely deserved a time to fully shine. And more than that, he deserved his happy ending. I loved getting to know his character better--and DEEPER--and am incredibly pleased with Noc's story. Before KA told who was going to be paired with Noc, I originally figured it would be the Circe from the Fantasy world. I don't think I was alone on that, right? So when she said it was actually going to be Franka, I was so surprised. But now, after reading the story, I get it. Franka is actually fabulous. Once given the chance to be her own, unrestrained self, she is easy to like. Plus, she was the perfectly suited partner for Noc. The romance between Noc and Franka pretty much dominated the story, which made my heart happy. They are a beautiful couple, and I adored seeing them become that couple, and then watching the bond between them strengthen. These are two people that clearly deserved happiness. I loved reading their story to getting it. As always, Kristen Ashley's writing was fantastic and addictive. I read the first three chapters when the cover was revealed and could not WAIT until the rest of the book was in my hands--and then I read the rest of the book the day it landed on my Kindle. The story didn't drag in the slightest, and an efficient job was done wrapping up the stories of the main characters we've grown to love. The main plot is focused on Noc and Franka, of course, but we got delicious glimpses of all of the previous main characters, along with some of their counterparts (which added up to a fun extra element in this novel). The only slight issue I had with Midnight Soul was the big issue within the plot. You know, the hurdle the characters had to face to truly end up together, well and happy. It was kind of anticlimactic to me. 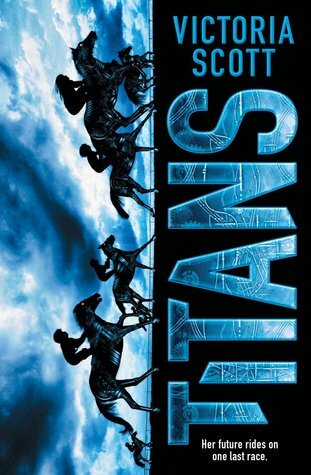 I wasn't too upset about it while reading, because I truly did enjoy the reading experience I had with this book, but when I reached the end I was somewhat surprised something bigger hadn't happened. But that was the only thing I can count against the story, and there were so many other elements that made up for it tenfold--the romance, the depth of the characters, how incredibly well-done Franka's adjustment from the Fantasy world to the real world was...I could go on. 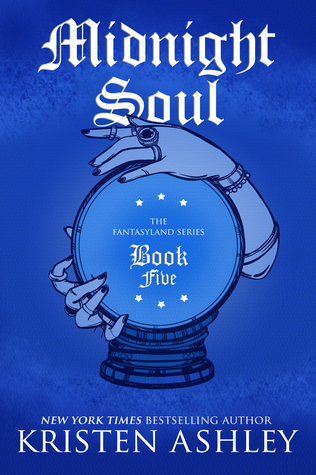 Overall, Midnight Soul is an enchantingly romantic addition to Kristen Ashley's Fantasyland series. It's a well-written, beautiful story, and I am so happy with how things turned out for these characters I adore. I'll be over here crossing my fingers for a novella for Valentine sometime... (is it wrong to hope?) ...and basking for my love in this entire series. Honestly, if you haven't given this series a go yet, I strongly recommend you do. All five books are fabulous! 4 fantastical stars - An enchantingly romantic addition to the Fantasyland series! I would be most interested to find out if the planet is peaceful and conflict has stopped or reduced. Finding out how much is different. There is so much I would be interested in knowing! I would like to see the parallel universe to see if my life is similar or completely different. Of if I'm even it it! Thanks! I'm dying for every word!!! This is one of my all time favorite series ever!!! I pre-ordered my copy a while ago! I would just want to see how different it is! How different everything is! It would be amazing! If it is the same as our world. I would love to find and see my parents and grandparents in the other world. I think all sorts of comparisons would be interesting; I couldn't pick just one! I would be most interested in finding one of KAs Alpha males!!!! That all my hard work at trying to reach my goal actually amounts to something. Hope that life would be better. I would be interested to see if the suffering in our world was similar to the parallel universe or not. I would like to find out the differences in the parrell universe from the real world. Is there another me in this parallel universe? I would like to meet myself. Finding out how different the world is. I'd like to see if people only look like themselves, but also act like themselves. Def would like to meet myself and my family and friends! Nothing in particular; I'd just enjoy exploring it. I think just finding out the differences.